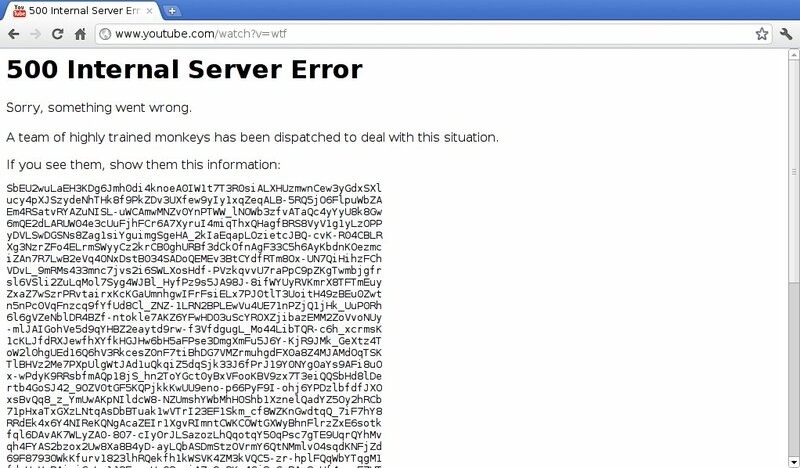 Now, this is embarassing… It looks like requesting a non-existent video on YouTube causes a "500 Internal Server Error"! Surely, a better response would be something like the one returned when the videoId is missing: http://www.youtube.com/watch?v=. It seems like predictions became true.